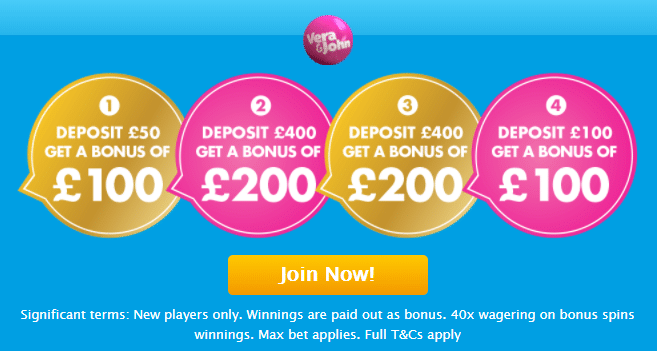 Vera&John casino invites all experienced players from the UK to benefit from this second deposit bonus. Make a minimum payment of £10 with any banking method except for Neteller and Skrill. You will be rewarded with a 50% bonus up to £200. This money is valid on your favourite games so have tons of fun! Withdraw your winnings only after you’ve wagered the bonus amount 40 times. Hurry up and benefit from this tailor-made promotion!